Paul Davis, AIA founded PDA in 2007. His firm’s work received the prestigious Preservation Design Award from the California Preservation Foundation (A’Maree’s Fashion Boutique, 2011) and is published internationally. 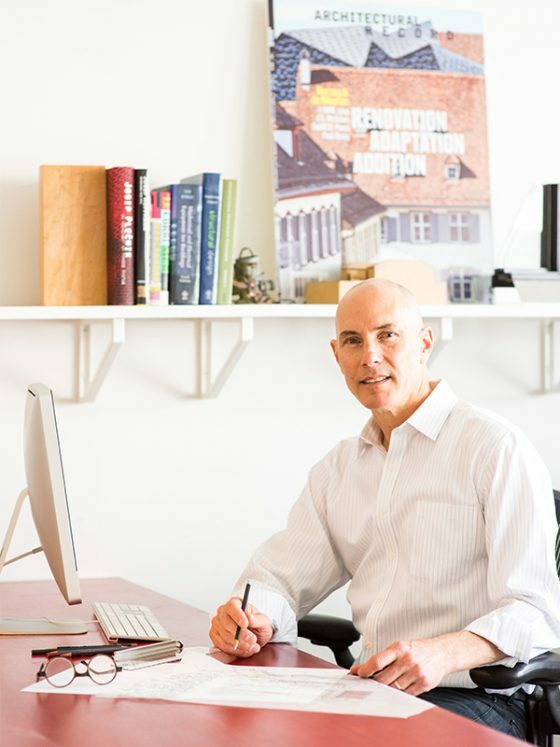 Prior to PDA, Paul was co-founder of Salazar Davis Architects in New York City, where he completed a wide range of projects, including loft interiors, restaurants, and retail stores. The firm was a finalist in the Queens Museum of Art Design Competition, and received wide media attention for its role in “The Novel Project”, an artist-in-residence design competition sponsored by the Queens arts collective Flux Factory. Paul earned his BS from University of Southern California and holds a Master of Architecture Degree from the University of Virginia. In addition to his own firms, Paul has worked with Smith-Miller + Hawkinson Architects, Nils Finne, Ettore Sottsass, Matteo Thun, and Richard Meier and Partners. Paul presented works of sculpture in a solo show titled “Works of Steadily Increasing Scale, Certainly, and Freedom” at Acme Gallery in Los Angeles in 2010.